Want to Join the Jamberry Family?? 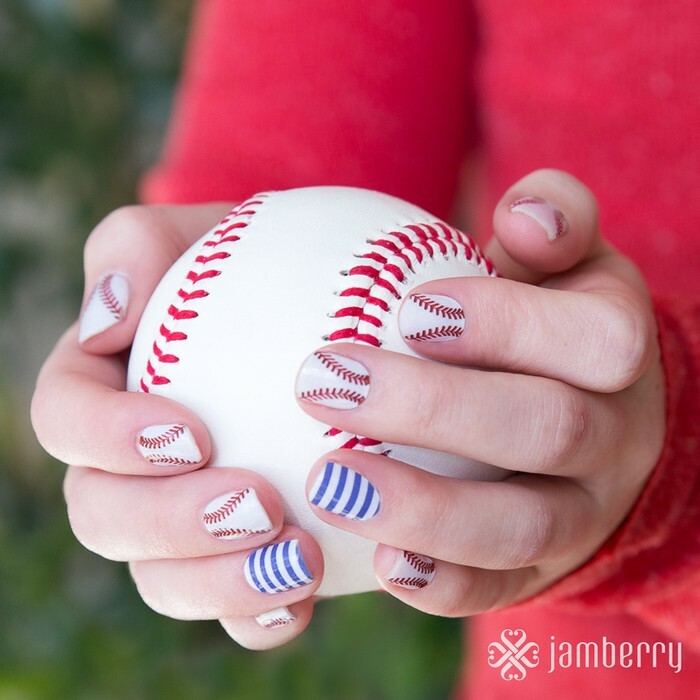 I am so excited that you have expressed an interest in joining Jamberry Nails! With recent changes over the past few months, it’s even easier to be a successful consultant and have a blast while doing it! You can do Jamberry as a hobby and make several hundred dollars each month on commission only, or you can focus on building a business team and earn a full time income with part time effort. I know you have questions so I tried to cover the most commonly asked questions below. If you have additional questions after reading this information, call, text, or email me! No pressure, just answers! Jamberry Nails is your one stop shop for hand and nail care. Our company prides itself on delivering the latest fashion trends and provides you style at your fingertips. All of our products are non-toxic, gluten free and vegan friendly. 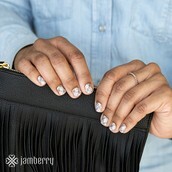 Jamberry Nail Shields are a fun alternative to nail polish and is one the hottest trends in celebrity fashion. Jamberry Nail Shields are a super thin, heat-activated, vinyl film covering that can be applied directly to the finger or toe nail to achieve a salon professional look. The adhesive and shiny top coat are built in to the wraps so that there are no extra steps for a fabulous application. There is no drying, no chipping, no smudging, no chemicals, and no damage to the natural nail! They are affordable, easy to apply, long lasting, and can be done in the convenience of your own home. There are currently over 350 wrap designs to choose from so you can really let your personally shine! Current Special ~ Buy 3, get 1 FREE plus free shipping on orders over $150! A. $99 plus tax and shipping for the Starter Kit. 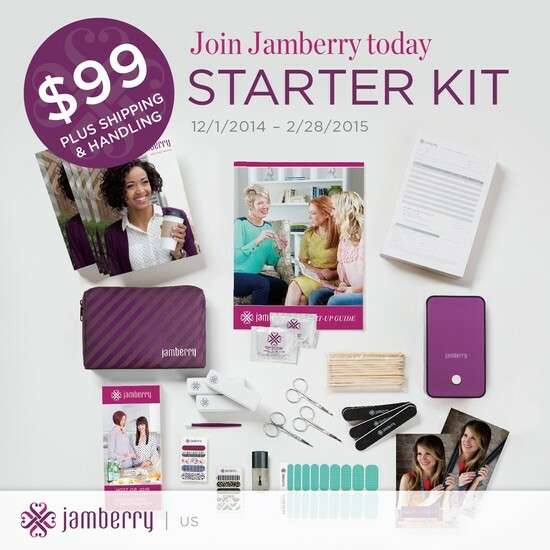 A great way to help with the cost of the starter kit is to host a party before you sign up. If the party reaches $250 in sales, you get a credit of $25 toward your starter kit! If it reaches $350, you get $50 credit! Q. How much do I have to sell to stay active? A. You need to sell $600 PRV (Personal Retail Volume) every 12 months. Since one dollar equals one PRV point, this is $600, or an average of $50 in sales a month. This is a combination of anything you buy retail for personal use and anything you sell to your customers. I personally use $50 a month, so this is a very easy requirement. Q. Do I have to buy a lot of inventory and keep it stocked to do parties? A. No. You can if you want but you don’t have to. You order the products from Jamberry when customers order from you. Q. What costs can I anticipate in addition to my start-up kit? A. After the first 90 days, you will have a monthly $10 fee for your website. Q. Do I have to recruit or grow a downline? A. No! It is completely up to you! You can be completely successful as a Jamberry consultant without a team under you, however, should you decide to build a team, and you will earn a percentage off of your team’s sales. There are additional qualifications you need to meet each month in your own business to be Downline Commission Qualified. You can earn generous commissions and bonuses from team sales. See the Career Path chart for details. A. Absolutely!! I can and will train you to be successful in your business. Whether you live close by or across the country, I will do everything I can to help you reach your personal goals. My team is about supporting each other to succeed! I also have a Private Facebook team page for training, ideas, questions and meeting other reps! You have 100% of my support. Not only will I train you personally, but Jamberry has a wonderful program called Jamberry U that will take you through 11 sections that will educate you on how to get your business off the ground and running successfully! Your personal jamberrynails.net website. (FREE during your first 90 days). Why Choose Jamberry Nails? Why Not!? This new nail treatment can be applied in about fifteen minutes at home. With over three hundred styles to choose from, these designer wraps are made to last up to two weeks on fingers and four or more on toes. Unlike traditional nail polish, they won’t chip and require no drying time. It’s so easy to achieve a professional, salon look at a fraction of the cost. The ease, affordability and trendiness of the product make them easy to sell. Jamberry Nails really do sell themselves. What other company will allow you to make money for holding parties and keeping your nails looking fab?? The compensation plan is one of the most generous of all the Direct Sales companies right now. The potential for financial freedom is merely as step away. 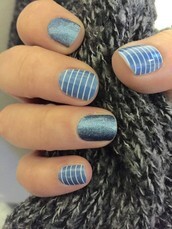 Jamberry Nails launched as a direct sales company in November of 2011. This is a fairly new company and here is still lots of room to grow. I can't wait to work with you!! You can visit my website heidimartens.jamberrynails.net. Click ‘join’ and follow the steps. Once you have registered, Jamberry gives you instant access to your website and back office/workstation where you can find tons of training, the consultant logo, ordering instructions, business card template, etc. About a week after signing up, you’ll get your starter kit and consultant guide. Everything you will need for your first few parties will be included in your kit! Hi everyone!! I'm Heidi, YOUR Jamberry Nails consultant. 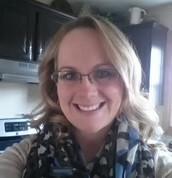 I joined Jamberry in January 2015 after attending a Jamberry Facebook party. I tried them once and fell in LOVE!! I am a Senior Lead Consultant and Team Leader of my group The Berry Pushers! I absolutely LOVE leading my team and helping them reach their goals! There's always room for more Jamsisters! My husband James and my son, Larkin (16) are my motivation. They remind me everyday why I do what I do. My goal is to lead my team full time so that I am able to spend more time with my family. I'm available 24/7 to answer your questions about your nail wrap application, hosting a party/fundraiser or becoming a Jamberry consultant.